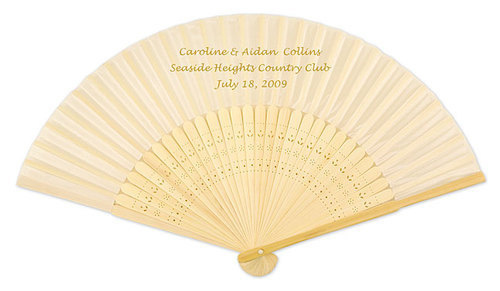 Personalised White Wedding Fans - Fabric and Bamboo Handle. Message to be printed on the fabric. 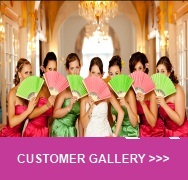 Please indicate Name of Bride & Groom, Date and Location of Wedding in the message box. 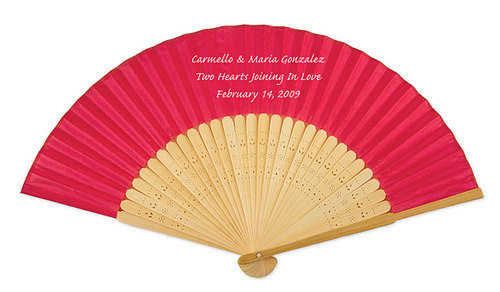 You may choose names, dates or a single colour custom design to suit your theme (additional charge for custom design £35). Up to 3 lines of text. Maximum 45 characters per line. Please indicate preferred font type. 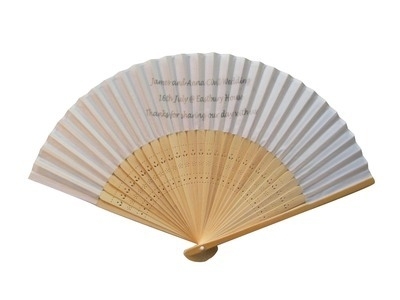 To see a list of font types please click here. 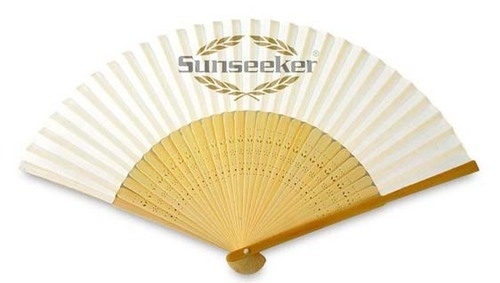 Minimum order quantity of 80 fans. 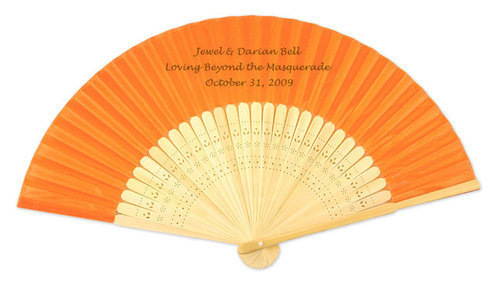 Please allow up to 3 weeks delivery on all personalised wedding fans. 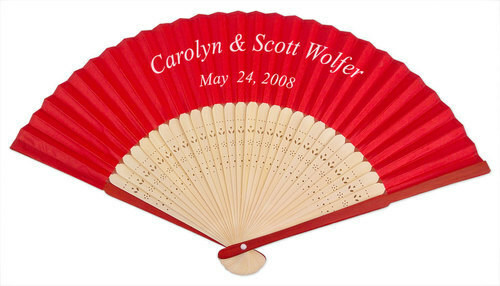 See also Personalised Silk Wedding Fans.